DJ YT has been actively dj’ing for over a decade. DJ YT started at a young age and very quickly became a sought after professional. DJ YT furthered his career by studying at the Technics DJ Mix Club by some of South Africa’s top DJ’s. 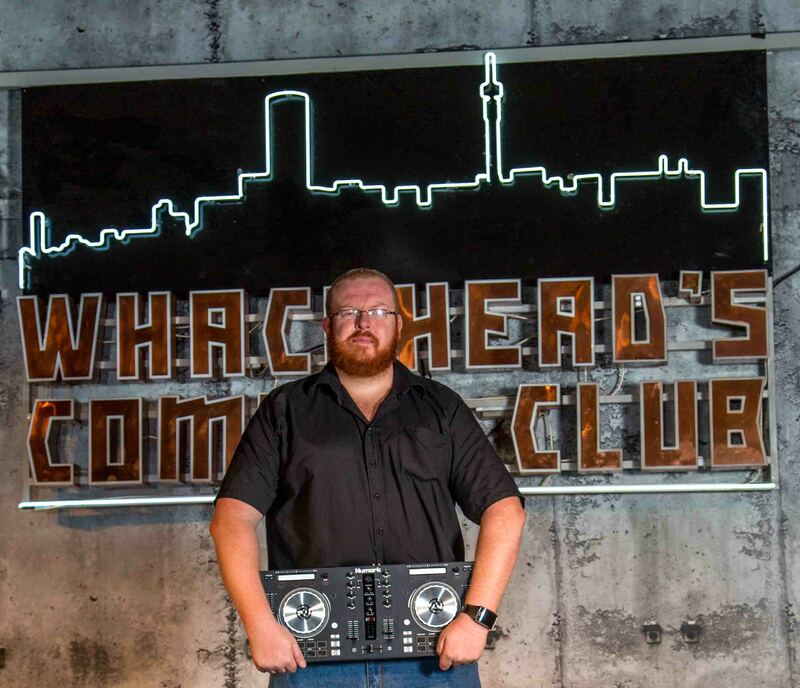 DJ YT went on to play across South Africa’s top night clubs playing the latest hits. DJ YT came second in the Technics battle of the DJ’s completion in 2001. DJ YT currently works with South Africa’s top entertainers as a sound engineer and DJ. DJ YT has a wide variety of music available to suit the client’s needs. DJ YT is a very good crowd reader and will keep the people dancing the entire night. 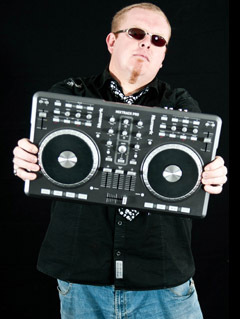 DJ YT has played from 13th birthday parties to top corporate clients. DJ YT will cater for the client’s needs for whatever they may require from a DJ, from Oscar movie nights to in the bush themes, DJ YT will find the correct music for your evening. DJ YT has top class equipment to provide superior sound and lightning for the show. DJ YT sees himself as a true DJ, mixing on CD players and Vinyl’s and doesn’t just rely on a laptop to DJ. DJ YT has performed with Ranfinikus the Hipnogician at a corporate function for the Porsche club in the Cape once and there was no DJ to play after Troye's show and DJ YT stepped up armed only with one iPod to connect to the mixer (no CD's or anything) and DJ YT kept the dance floor pumping until 3h30 in the morning when his iPod’s battery went flat eventually. DJ YT has shared the stage with some famous artists like; Danny K, Dozi, Dr. Victor and the Rasta Rebels, Flash Republic, Gang of Instrumentals, Goldfish, Jesse Clegg, Kurt Darren, Knaan, Lady Lea, Liquideep, Loyiso, Mark Beling, Martin Rocka and the Sick Shop, PJ Powers, Prime Circle, Pro kid, Sipho "Hotsticks" Mabusa, Solly Moholo, The Parlotones, Tokyo Groove, Deidré (NKD), Wonderboom and many more. DJ YT then expanded his profession into karaoke and quizes. Dj YT has a huge selection of karaoke music from local to international. Most karaoke DJs only have about 3000 karaoke songs availabe to select from. DJ YT has a selection of over 155 000 karaoke songs. This means that DJ YT has over 50 times more karaoke songs than the average karaoke DJ. DJ YT also has over 400 Afrikaans karaoke songs to choose from. That's an incredible amount of karaoke songs to choose from. 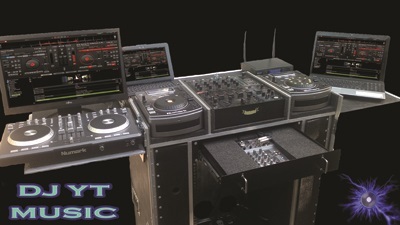 DJ YT is also SAMRO registered, and has the top of the range DJ equipment. This includes sound and lighting. Everybody wants to be a Pop Idol, Rock Star, Opera Singer but only a select few will go on and actulally become stars. For the rest of us Dj YT will create the scene for you to be the superstar with his top class karaoke setup. So you think you can sing or are you just looking for that perfect ice breaker? Then karaoke is the answer for your party. Dj YT caters for any karaoke function like club karaoke, corporate karaoke, pub karaoke, birthday karaoke any many more. With Dj YT's professional DJ set the karaoke always sounds good and with his supreme light setup, you will feel like the Idol infront of your friends, co-workers and family.